The driver behind OSHA’s proposed amendment to its injury and illness recordkeeping rule is not to clarify anything, but rather to attempt to undo the D.C. Circuit’s very clear 2012 decision in AKM LLC v. Secretary of Labor (aka the Volks Constructors case). In Volks Constructors, OSHA argued that every day the logs remain inaccurate, the employer commits a new violation, and extends the enforcement deadline. In other words, even though Congress set a six month statute of limitations for OSHA violations, OSHA believed the statute of limitations for injury and illness recordkeeping violations was five years plus six months due to the “continuing” nature of recordkeeping violations. Applying this expansive and flawed view of the statute of limitations historically gave OSHA wide latitude in recordkeeping enforcement. The D.C. Circuit clearly considered that position, exercised its judicial role in interpreting Congress’ intent by the language of the OSH Act, and held that OSHA’s six-month statute of limitations applies strictly in recordkeeping enforcement. 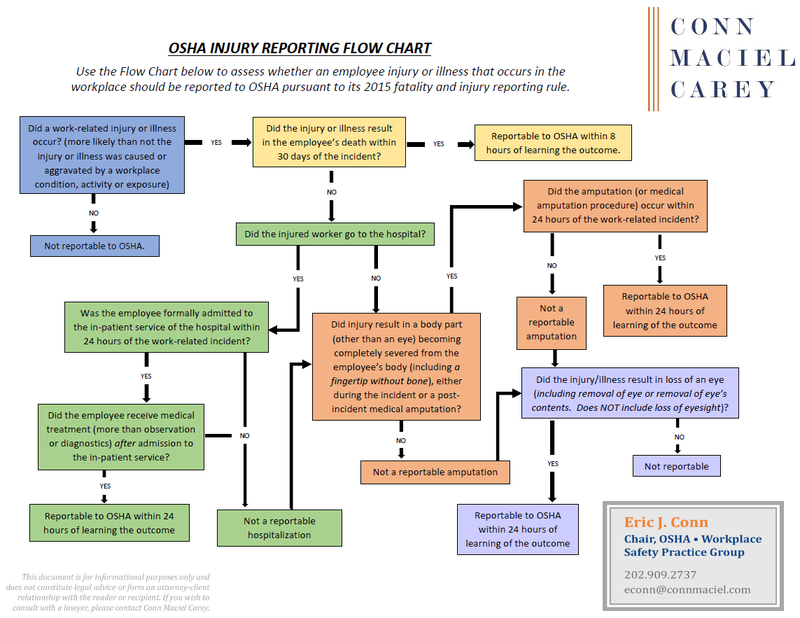 Specifically, a failure to properly record an injury is a violation that occurs the moment – and only that moment – when the injury was due to be recorded (one week after the injury). Therefore, if OSHA is going to cite that violation, it must do so within six-months and eight days of the injury. In a rare instance of OSHA offering public comment about the outcome of litigation, OSHA hastily criticized the D.C. Circuit’s opinion at the time it was issued, and shortly thereafter announced that it was introducing a rule that it said would “clarify” its own position that its recordkeeping regulations impose an ongoing obligation on employers. OSHA’s most recent regulatory agenda listed December 2015 as the last action taken on the rulemaking, which was the process of analyzing stakeholder comments that were due earlier in the year. While OSHA has a very short time frame by which it would have to issue the proposed rule before the clock runs out on the Obama Administration, because the legal issues have been so thoroughly vetted by the Labor Solicitor’s Office through the Volks case, the rule itself would not likely take long to finalize if OSHA is able to clear all of its rulemaking procedural hurdles. One way OSHA may attempt to accomplish that would be to attempt to merge this rule with the injury data submission rule to try to get them both through the White House OMB process this year. Either way, this initiative is one to watch closely over the next few months.